Blue diamonds; they are beautiful, in high demand and have yielded some of the highest prices ever paid for colored diamonds. In this tribute, we will explore all three and more. Since there is so much to dig into, we will split our post into two parts. 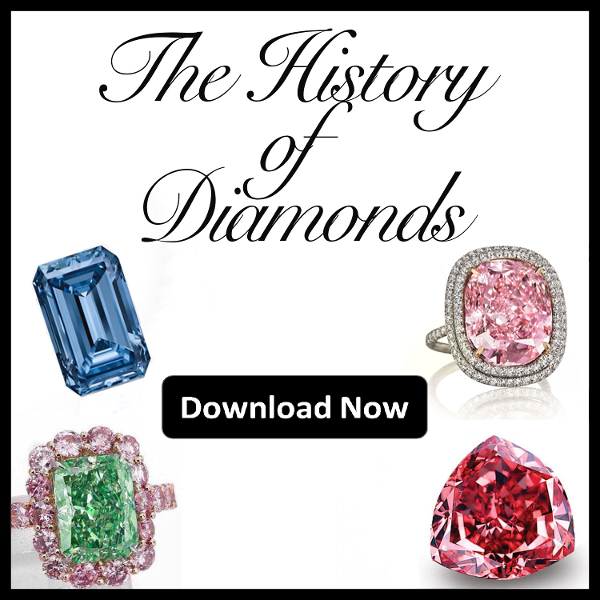 Part 1 (this post) will focus on what gives theses stones their color, their unique attributes versus other colored diamonds, where these diamonds come from, and finally begin to examine how the value of these stones has changed in the past decade. Blue, the color of trust, loyalty, dependability and honesty; is among the rarest shades of fancy colored diamonds, overshadowed only by red, purple, and potentially pink (once the Argyle mine closes in 2020). To put their rarity into perspective, only one naturally blue diamond can be found for every 100 Picasso paintings up at auction (NCDA). This is further supported in “The Fancy Color Diamond Book”, where E.Rachminov emphasizes that less than 0.1% of fancy colored diamonds found are llb blues. What gives blue diamonds their fascinating color? As investors and diamond enthusiasts you may know that colored diamonds get their magnificent color from either chemical impurities or lattice defects. In the case of blue diamonds the chemical impurity responsible for their beautiful color is Boron. But how does this help create such a beautifully captivating color? Boron is a metalloid element with a similar size to that of carbon (the main element comprising diamonds). As opposed to carbon however, which has 4 electrons, Boron only has 3, therefore when bonding occurs carbon atoms have an unused electron. It is due to this free electron, that the diamond is able to absorb red light, allowing only blue light to escape it. As any other colored diamond, blue diamonds can exhibit a plethora of hues, ranging from lighter shades such as the color of the sky, to a more “steel” blue, to an intense deep blue, resembling the color of the oceans. Blue diamonds can be commonly listed with more specific names regarding their shade, such as baby, royal, navy or midnight. 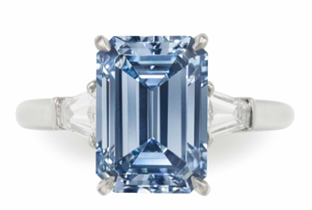 A pure blue diamond will often be given a “llb” grading. This essentially means that there are very few, or a complete lack of nitrogen impurities. On the other hand, blue stones containing secondary hues (usually from the presence of hydrogen) will be given a “la” grading. The modifying color will be referred to in the gemological grading of the stone. What makes blue diamonds so special? 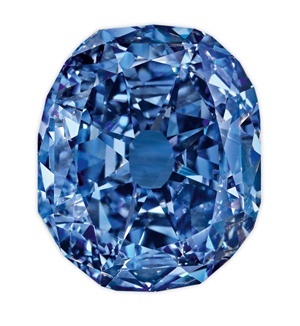 A characteristic unique only to naturally blue diamonds is their conductivity. They are the best conductors of both heat and electricity more so than any other substance on the planet. Further, a very small fraction of blue diamonds found display any sign of fluorescence, a relatively common (and unwanted trait) of white diamonds. Instead of fluorescence, many such stones illustrate a fascinating phosphorescence when exposed to ultra violet short wave lighting, transforming their blue color to a deep crimson red. A stone that has been heated or chemically altered in order to attain artificial coloring will not have these unique traits. This could therefore be useful when testing for a diamonds purity and authenticity before making an investment decision. Undoubtedly the greatest source of blue diamonds to this day is the Cullinan mine near Pretoria, South Africa. Dating back to 1903, this mine has produced some of history’s greatest diamonds including the Cullinan I and II which ultimately became part of the British Crown jewels. 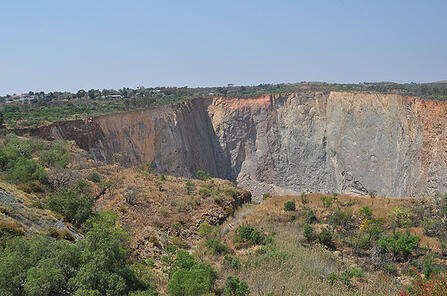 Despite its significance, the mine is currently producing less than 1 million carats per year. This is hoped to change once expansion operations aimed at increasing production rate have been completed. Blue diamonds can also be found in the Karowe mine in Botswana, Letseng mine in Lesotho, and the Golonda mine in India. The Argyle mine has also produced some beautiful blue diamonds but to a lesser extent. As investors you may already know that demand for blue diamonds has seen a significant increase during the last decades. The same however, cannot be said about supply. It is believed that until the Cullinan mine completes its expansion operations, the supply of these precious stones will slowly diminish; undoubtedly leading to a significant value increase. This can be further supported by the NCDIA which reported an annual 12-17% increase in prices for all blue diamonds regardless of their hue. With roughly 2-4 significant precious blue stones appearing on the market every year, diamonds belonging to this family have been repeatedly breaking records in auctions with many yielding $1million per carat (or even much more). 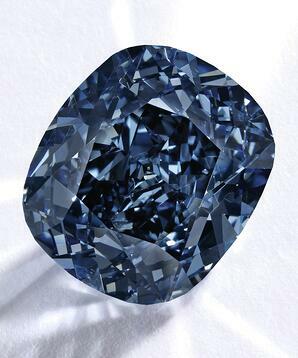 The Blue Moon: Sold at $48.4million in 2015, yielding slightly over $4 million/carat. 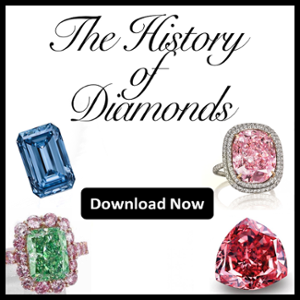 For more reading on colored diamonds, check out the link below. 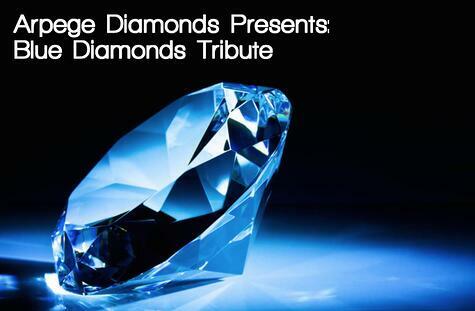 Make sure to check back next week when we look into the history of 4 of our favorite blue diamonds of all time.